The Tuesdays after bank holidays are always a struggle, but just because it's over doesn't mean you can't bring that bank holiday spirit back to the office with you. There was one jolly print that was all over my Instagram feed this weekend—and the good news is it's from & Other Stories and is still in stock. The red peony print is not only feel good but it's versatile too. The influencers below show it can be worn for all occasions, from weddings to the beach. Keep scrolling to see and shop the jolly & Other Stories print. 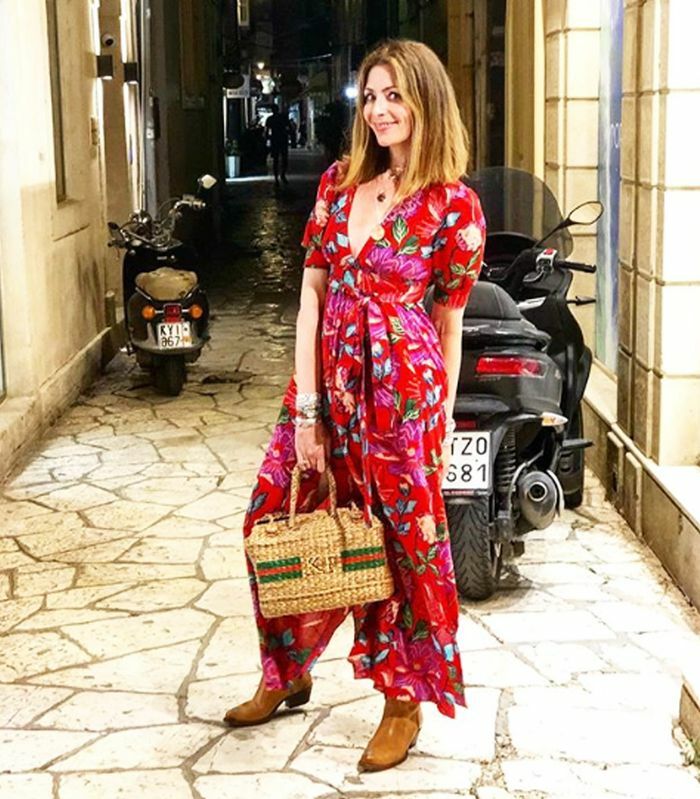 Style Notes: Kat from Does My Bum Look 40 wears her printed dress with tan suede boots and a basket bag. Style Notes: Freddie Harrel looked ready for a wedding in her maxi paired with statement red earrings and tassel sandals. Style Notes: Celeste wears her & Other Stories wrap dress to the beach with a personalised basket bag and a pair of rose-tinted sunglasses. Style Notes: Victoria of Laugh of Artist wore piled-up bracelets and a pair of elegant sliders. We told you that it's a mood-boosting print. For more feel-good fashion, see our holiday packing list.